3 manager of Persib Bandung Juara have been wrong to take a club. Can you helm me to sent a screen shoot? If you want to help with the standings for your league of other league's, you are free to do it. @davemx1984 Rules in Page 1 mention that penalty for 1st and 2nd Transfer mistake is -300 points, but you wrote -150 for RED SKULLS. It should be -300 right? Why do you argue that the managers in the moderator's crew have entered in the league first? This is normal because it was announced when the league was being made and you did not have the way to do before them. Do you play for the first time against other crews? this is normal, I do not see what to punishfo that. and the penalty of -500 is too much and some crews may take advantage of this and delay to entry into the league as the enemy crew gets a -500 penalty. If you play against the top crews and players you know that the first scouts are very important. why do you think we have won this tournament 5 times in a row. it is because we Always try to enter the league's before the other crews. so we have the scout advantage. just think about 15 managers send there scout away quicker then you did. 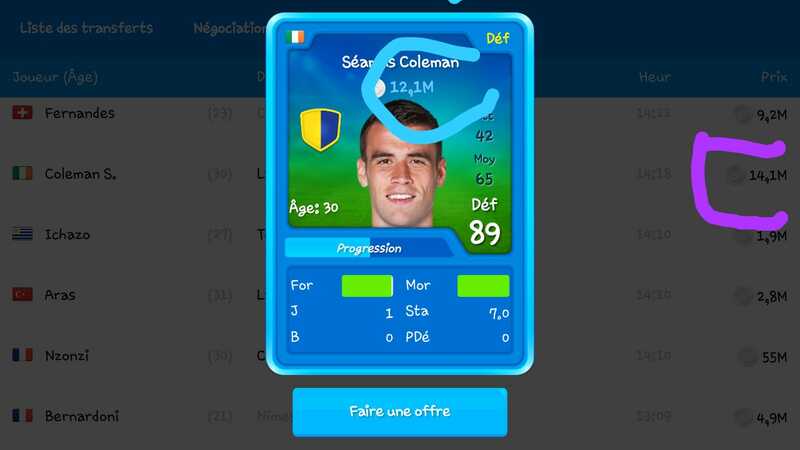 that is 15x3 players the change you got a misscout is very high also al the good young players are gone. you wil have this problem throughout the whole competition, you stil think the punishment is to high? even this is al said, there wil be always discussions about rules and managers with other opinions. I am always open to discus those but this is one rule we always want to have, so we are going to decide the solution for this problem in the future. I can tel you nobody wil ever delay an invite not to join the league so the other crew gets a penaltie. I realize that it is easier to create the rules rather than apply it, there are different weights for different groups, this is bad for the competition and for those who are a part of it, I know that if my group leaves the competition for being harmed by the organization, we will miss But I will no longer discuss this issue with the creation of the league, I will leave this subject strictly in the hands of the organization, because I have already realized that we are nobody for the competition. About creating the league, I believe the best way to create a league is for the manager to send a screenshot at the time of the league's creation and a screenshot with all the coaches who sent the invitations, send to the organization, or post here in the forum. Some competitions already adopt this format. I believe that in this way there will no longer be any interpretation of rule. Thanks for you message, and first i want to say that every crew is important for us organization. so you nobody have doubt that. no to come back at this situation we had a though decision to make, but in the end it is very simple. I had a screeenshot with the time the league was there and on page 90 you see 4 managers of the same crew in the league. already 30 min has past and 2 managers had to ask permission for the competition if the invite was send, this was not nescessary if they had an invite. therefor we had al the reason that you did not send the invite at the same time and let your crew join first. 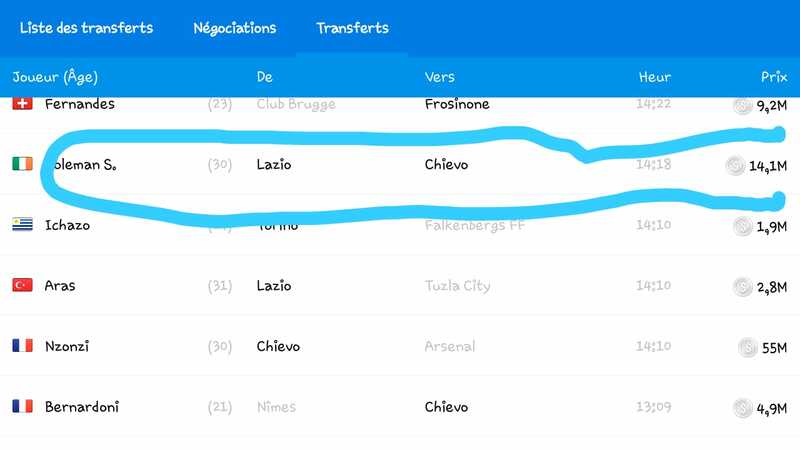 in this case i dont have the info when the league was created and combined with the time this time, just 2 min after the first manager joined the competition, we think the invites are send al at the same time. But there is a something we realized for the next edition and that is that we wil make a new rule about this so we dont have to play the game yes we did, no we didn't. I wish everybody a great tournament and now move on. Before the beginning of this first day, I am warning that no ATLAS SUDAN member has accepted the invitation and only two from four members of PERSIB BANDUNG JUARA. I sent the invitations to everyone at the same time. My colleague sent the screenshot for me at this Brazilian time, according to the image. --> "Own crew first is strictly forbidden!!! There is only 1 correct way to invite the managers"
This is correct but i wil make the rules about this more clear in the future how to get the evidence. in the previous day we would have the same variables to take into account, and even then we were penalized, it was the same case, identical! my team had entered the league first because they were online and even with the time zone the other teams were absolved! I'm not asking for anything that is out of the rules, I'm asking the same thing I was charged last time! If the points you mentioned can now be taken into account, it would be of great value to change this rule for the next few days! I have nothing against any team or manager, I'm simply charging a penalty on rules! I take a quick look i see the time in the screenshot and i dont see one at your screenshot. It is possible to see when a league is created combine that with the time under the screenshot and there was a difference in time that was not we where talking about 5 min. In this case i dont see a time on the screenshot do you have one with the time standing init?